37D 31' 50.25", 23D 26' 16.88"
With a total surface of 31 square kilometres, the island of Poros is one of the smallest in the Saronic Gulf. It also happens to be one of the most visited, due to its close proximity to the port of Piraeus (31 nautical miles) and the Peloponnese (a mere 200 meters separate it from the shores of Argolida). Its natural port is popular with yachters all year round, but it’s village of around 3,000 inhabitants is probably the last place where one would expect to find a pair of French artists as permanent residents. Hortense Le Calvez and Mathieu Goussin are partners both in life and art, and together they founded Forlane 6 Studio in 2013. 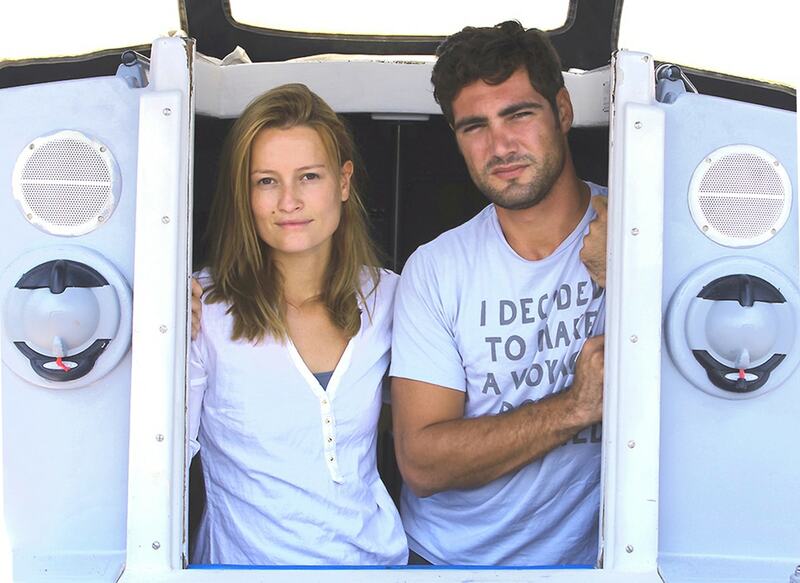 From Normandy and Brittany respectively, Mathieu and Hortense grew up close to the ocean, and decided to live a life dedicated to the water, sailing and nature. “Living here has been exquisite, not only because of the beauty of the area, but mainly because we didn’t feel just like tourists extending our stay. The local community was very welcoming and helpful. We do really enjoy the lifestyle and feel incredibly lucky to a part of this area”. 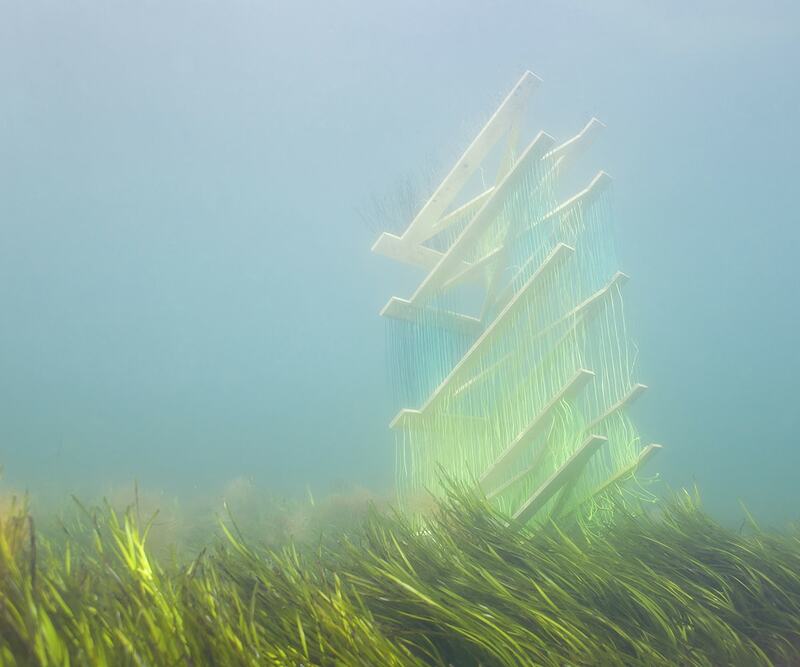 Ever since her student days in Amsterdam—another place where the watery element is very present—Hortense has always loved to work with water, but not in a visual or symbolic way. 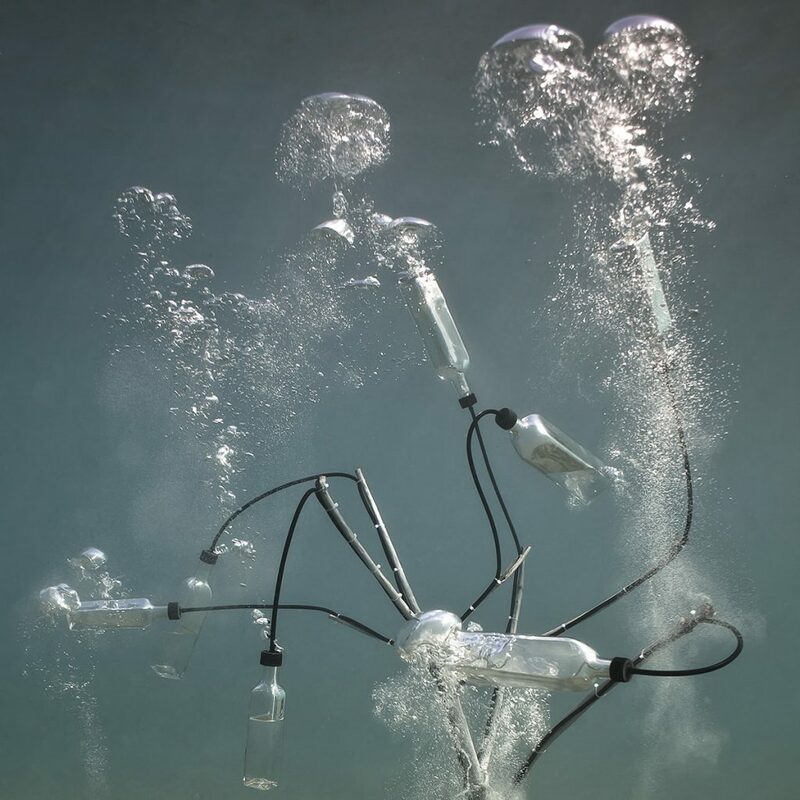 She wanted to explore how buoyancy and other properties of being submerged in water affect materials and forms, and for that she started submerging sculptures and structures in the sea. Her background in scuba diving helped a lot, since she could use all the necessary equipment required to work underwater. 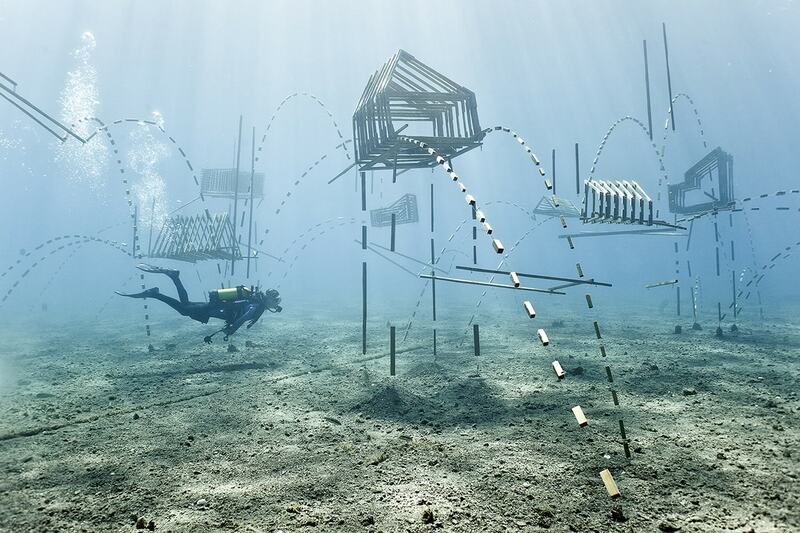 When placed underwater, a sculpture can be experienced from all sides, since the viewer can swim over it, or even through it. 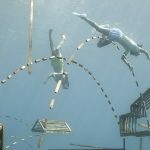 An installation Hortense and Mathieu built last summer at Vlychos beach in Hydra depicted a village that was in a way disintegrating, and a local scuba-diving school was using it to do underwater art tours; local holiday-makers could also swim to the installation from the beach and explore its secrets. 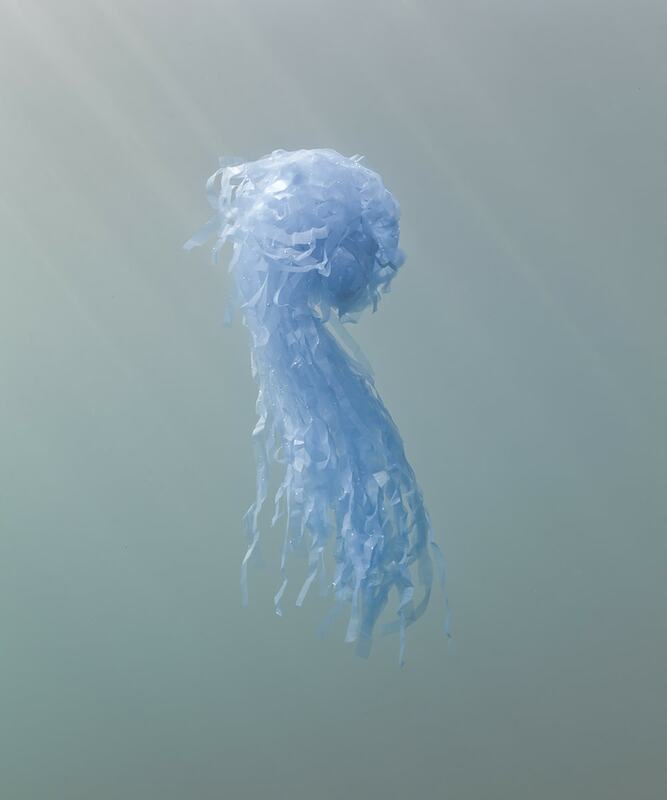 Hortense and Mathieu’s work also relates to environmental issues, and the way humans are causing irreversible damage to the planet and the oceans. 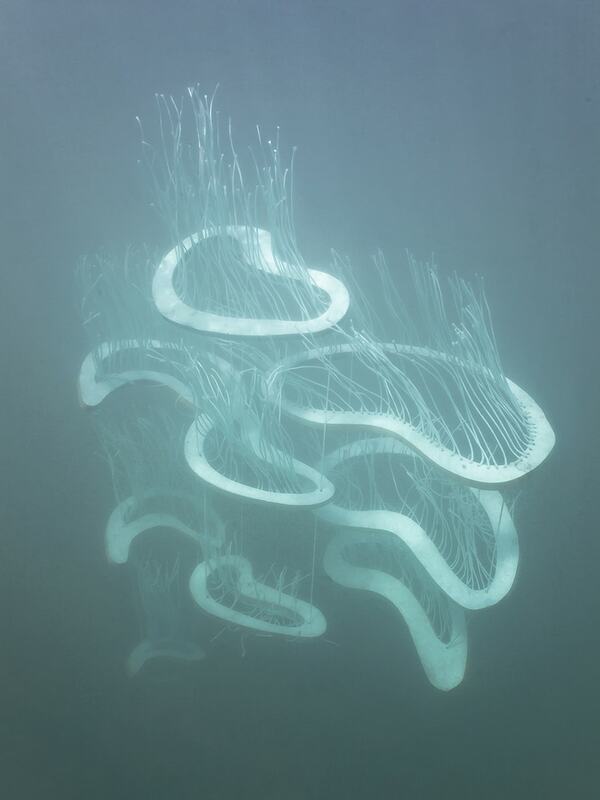 Through their work, the two artists seek to create a more emotional connection with the sea, and bring people closer to the underwater world—a realm that is often overlooked or simply ignored by most people, and especially its importance to the climate and natural balance of our planet. 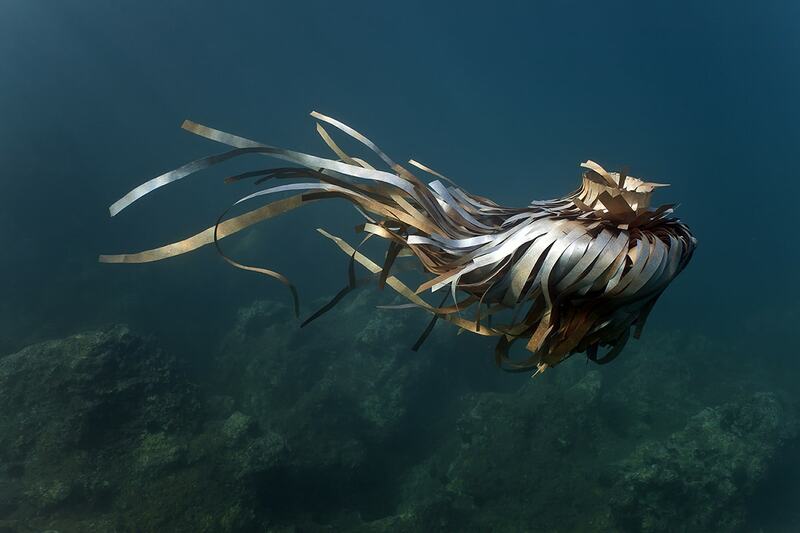 For summer 2017, Hortense and Mathieu are working on a new installation on Hydra, in collaboration with the diving school of Yiannis Kitsos, which will explore issues of seed migration and how some plants arrive to distant islands by floating in the sea. An example of this phenomenon is how palm trees migrate across the ocean, and for this reason the installation at Hydra will look like a submerged palm tree, gently swaying in the current. If you’re visiting the Greek Riviera this July, make sure you take a dive at Vlychos beach to experience Hortense and Mathieu’s new creation from up close.